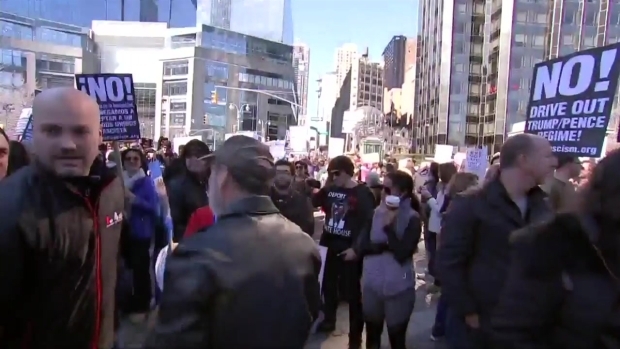 A major anti-Trump rally kicked off in Manhattan Monday as part of a series of "Not My President's Day" demonstrations being held across the country. Thousands turned out to the rallies on President's Day in New York, alongside at least 25 other rallies in cities nationwide. More than 14,000 people had indicated they planned to attend the rally at Columbus Circle on Facebook. The event was described as being a peaceful demonstration outside the Trump International Hotel. Large waves of people started lining up mid-morning, and demonstrators flowed from Central Park West to West 64th Street. 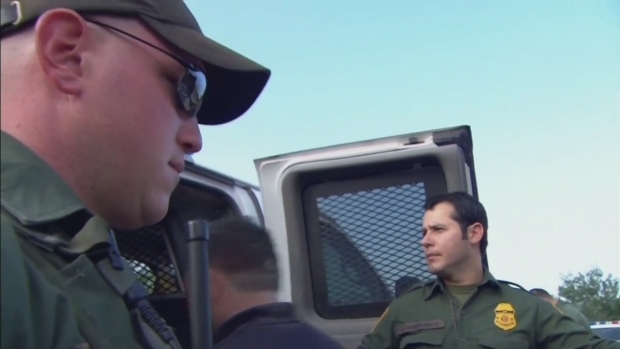 Despite a few small clashes between Trump supporters and protesters, the rally was mostly peaceful and no arrest was made, according to police. The rally was described by organizers a being peaceful demonstration outside the Trump International Hotel. Among the demonstrators was a woman who said she regretted voting for Trump. 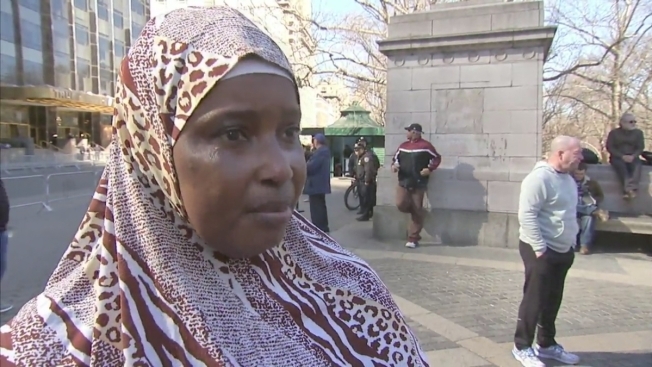 Fatumate Zazi of the Upper East Side immigrated from the Ivory Coast and became an American citizen four years ago. As a Muslim, she said she feels targeted by the president's stance on immigration. "We didn't come here to do something bad," she said. "We come here because we are suffering." "I wake up 2:00 every day to pray for this country," said Zazi. "God bless America. He don't do it. He's the president. I do." A handful of Donald Trump supporters also turned out to express their support for the president, with attendees on either side chanting at each other. "I support the president and I support his views," said Asa Jonathan Lowe of Coney Island. "One of the reasons I support President Trump is his support for Israel," said Ariel Kohane of the Upper West Side. The rally is described as a peaceful demonstration outside the Trump International Hotel. It's the third day of rallies in New York City. On Sunday, more than 1,000 people gathered in Times Square to support American Muslims. The "I Am a Muslim Too" march was organized in response to the uncertainty and anxiety created by President Donald Trump's now-rescinded executive order limiting travel from seven predominently Muslim countries. Mayor Bill de Blasio, Russell Simmons and Chelsea Clinton were among those participating. On Saturday, hundreds attended a mock funeral for Presidents Day in Washington Square Park. Protesters dressed in black and listened as a eulogy was delivered for the American presidency. "Not My President's Day Rally (Washington DC)," Washington, D.C.